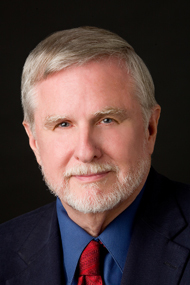 William R, Burkett, Jr. has a secret. For years he's basked in the glory of being a legendary science fiction writer, best known for his 1965 classic titled Sleeping Planet. But little did readers suspect that all along he's been writing serious short stories inspired by his early days as a journalist, his days as an MP in the military, his hunting and fishing forays, and his travels across the US. These stories he mostly scratched out by hand on a yellow ruled legal pad, later to be transcribed on a typewriter by a then-wife, and even later put onto a computer disk by a then-girlfriend – but never submitted for publication. I’ve known Bill Burkett since he was 18 or 19, a callow youth who wore a cowboy hat and boots to the newspaper offices where he worked. First as a copy boy, then as a feature writer. Matter of fact, Burkett and I have worked at the same company twice, first the Florida Times-Union in Jacksonville and later a publishing company located in the Bahamas. He was always a great raconteur, spinning stories as he sat there in the office, leaning back in a protesting swivel chair, cowboy boots propped on the edge of the desk. It was like listening to someone read from a William Faulkner novel. Always fascinating, always detailed, always a literary journey into the deep recesses of his mind. He has a great Truman Capote-esque memory for his youth, those early days in Georgia, growing up in his grandparent’s house in Neptune Beach. And he vividly recalls his military service in Germany, traveling in an orange VW Super Beetle across the American West, flacking for the liquor unions in Seattle, and settling down in the shadows of Mt. Rainer. But truth is, Burkett always cast himself more in the Hemingway mold, a man's man who liked to hunt and fish, and sweated writer's blood over his rickety old Smith-Corona typewriter. Sometimes he would let me read one of his short stories. Wow, you oughta get these published, I'd tell him. But he'd just smile, apparently in no hurry for fame. Happy to claim a spot in the Encyclopedia of Science Fiction for Sleeping Planet. Too busy getting on with life – which was largely about duck hunting. Now, having amassed a lifetime of stories, most of them freshly transcribed into electronic documents, Bill Burkett has relented. 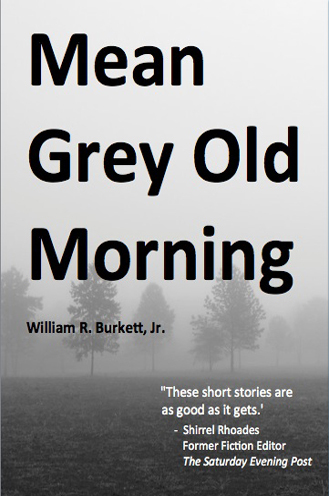 The result is Mean Grey Old Morning, a collection of 26 stories ranging from the snippet that gives the book its title to "99-cent Vacation in Paris." His travels take you from "A Rodeo in Harrisburg" to "Sunset Boulevard," from "Getting to Phoenix" to "Los Angeles Pickup." These fictionalized memories include such specific dates as "1957 Palm Sunday on Palm Place," "Irish Eyes in Portland: 1966," and "Christmas in Nassau, 1969." Others notable stories include "Yellow Convertible Afternoon," "Coffee Break at the Blue and White Café," "Flea Bag Hotel," "Sudden Death on Merry Street," and "A Visit to Ernest Hemingway's Grave." I've read them all, reminding me of a young journalist back in the newspaper office, Burkett's voice echoing in my heard. They take me back. "Some of the scenery was pretty dramatic, old abandoned cabins and mining claims, revealed by sagging scaffolding perched on hillsides. Then the junipers suddenly appeared and thickened and spread like an encamped army over the low rolling hills that once were the bottom of an inland sea." "Colin is a Nassau original, short, stocky, myopic and razor-witted; a British ex-pat camera shop proprietor who loves his pint and the companionship at the Red Goat. His hands on a camera are those of a virtuoso. His comments shine beams of clarity into every obfuscatory corner of the high cabal of photography." "We were over on the West Shore, finished with the mail boxes, when we noticed a road that looked interesting, roofed over with bright hot green leaves that reminded me of the Foret National near Fontainebleau, where I never took a girl with a blanket and a picnic basket and always wished I had." "The bright rays of the sun, coming on an almost horizontal slant from the west, reflecting off the white buildings. The chirps of the birds in the oleander trees. The soughing of the breeze in the palms. The occasional high pitched cries of the gulls as they drift effortlessly, following the coast line..."
And more than that – stories. But you don't have to have known Bill Burkett back in the days to enjoy them. Mean Grey Old Morning stands on its own. These short stories are as good as it gets.